The representatives are listed here. One of the most accomplished ornithologists in North America and one of our most dedicated members, John W Fitzpatrick’s (“Fitz”) record of service to the American Ornithologists’ Union, his professional home society, has been exemplary. With greatest appreciation for his outstanding contributions to the AOU, the Executive Committee proudly chose John Fitzpatrick as the 2011 recipient of the Marion Jenkinson Service Award. Fitz joined the AOU membership as an undergraduate student at Harvard University in 1972. He became an Elective Member in 1979 and Fellow in 1986. He received the Brewster Medal (with Glen Woolfenden) in 1985 for their landmark studies on endangered populations of the Florida Scrub Jay. Fitz is the youngest ornithologist to receive this prestigious research award of the AOU (CHECK THIS!} 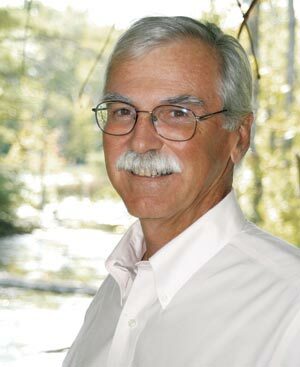 The AOU continues to benefit from Fitz’s many published contributions, eminent participation in the scientific programs of our annual meetings, and his distinguished accomplishments in bird conservation. Generous partnerships with the AOU have accompanied his leadership roles at the Field Museum of Natural History, as Executive Director of the Archibold Research Station (1988-1995), and as Director of the Cornell Lab of Ornithology. As just one example, Fitz served on the managing board of the AOU’s encyclopedic Birds of North America project (BNA), converted BNA to an on-line public resource of the Cornell Lab of Ornithology and then donated access to BNA to the AOU as a premier benefit of membership. Fitz has served with distinction in the governance of the AOU for 30 years, culminating in President (2000-2002) and continuing as Life Councilor (2002- present). As chair of the Committee of Investing Trustees (1989- present), Fitz has guided the long term financial health of the AOU for 22 years. Fitz’s other formal service roles at the AOU included three stints as Elected Councilor (1981-1984; 1985-88; 1991-94), Chair of the 100th Annual Meeting (1982) and Member of Committee on Classification and Nomenclature (1983-1998). John Fitzpatrick’s many contributions to the AOU set the highest possible standards for us all and a model for professional service by the next generation. Thanks Fitz. Award criteria.—The Marion A. Jenkinson AOU Service Award was created by the Council in 1996 to honor Marion Jenkinson Mengel, who served the AOU as treasurer and in other capacities for many years. It is awarded to an individual who has performed continued extensive service to the AOU, including holding elected offices but emphasizing volunteered contributions and committee participation. Recipients are selected by the AOU Executive Committee. The award consists of a framed certificate.